LabVantage provides users the ability to access laboratory data from any device using web browsers. It is a browser-based system so there are no client programs, applets or plugins that need to be managed. LabVantage uses standard Java EE application servers, modern databases, and can be centrally hosted for global deployment and can support hundreds of concurrent users. LabVantage comes ready for integration with instruments and systems and is easier to maintain than any other enterprise-grade LIMS in the market. Reports may be executed from LabVantage on the application server tier using Jaspersoft JasperReports, or from a dedicated report server tier using SAP Business Objects or similar. LabVantage runs in a web browser on the client tier. The application does not require any browser plug-ins or applets, which significantly simplifies deployment and system validation. Based on standard Java EE technology, the client requires approximately 12kB of TCP/IP bandwidth. LabVantage recommends a 100MB LAN with no single point being less than 64kB for the first user, scaling up to 128kB for 15 users. The application server is LabVantage’s main processing component and is CPU and network intensive. Therefore, when configuring the application server, organizations should consider the number of concurrent users and the complexity of the operations the solution will have to perform. Performance and reliability can be improved by adding servers to a clustered installation, which uses third party load balancers to route client requests to multiple application servers within the cluster. If one or more servers fail, client requests are automatically routed to other servers within the cluster so there is no interruption in service. 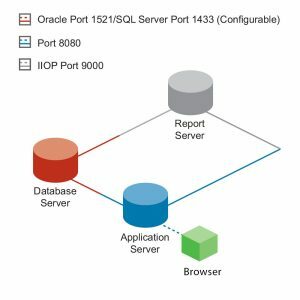 LabVantage supports Oracle and Microsoft SQL Server, two industry-leading database management systems. The database server is the repository for all LabVantage data, including metadata generated from LabVantage Web Page Designer, the screen configuration tool within LabVantage. This metadata is used to drive the runtime architecture and determine business logic execution. LabVantage has been designed to do most of its processing on the application server. As a result, the database server is not CPU intensive; rather, it tends to be I/O intensive. Therefore, a high throughput disk sub-system is recommended. When configuring the database server, organizations should consider the number of concurrent users, the amount of historical data, and which database engine will be used. 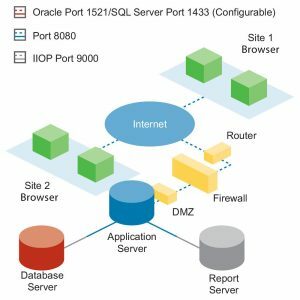 Database connections are pooled by the application server, so database-level connection pooling is typically not required or recommended. from the application server. Additionally, SAP Business Objects XI is also supported, and typically runs on a dedicated reporting server tier. Finally, any reporting solution that can retrieve data via the LabVantage web services is also supported. A dedicated report server hosts the reporting software and associated data. Like the application server, a dedicated report server is CPU intensive. Organizations should consider the number of reports being generated, the detailed nature of the reports, as well as, the number of users generating reports at a given time. LabVantage provides an interface to Seagull Scientific Bartender label and barcode printing software to generate barcode labels. LabVantage has a framework to enable integration of instruments and systems across enterprise. This includes data integration platform for instruments and system interfacing as well as web services for system interoperability. One BCU supports approximately 25 click-concurrent HTTP sessions. LabVantage suggests 40% click concurrency for an application server and 10% for a report server. For example, if a laboratory has 125 licensed users, it will require 50 click-concurrent HTTP sessions (125 x 40% = 50). Accordingly, the laboratory needs 2 BCUs to support the application server. For reporting, it will require 12.5 click concurrent HTTP sessions (125 x 10% =12.5) and needs 1 BCU to support the report server. With the emergence of high performance blade and other low-density systems, simplifying the hardware specification using BCUs eases the task of identifying and procuring systems for an implementation. Additional storage, as in the case of the database server, should be a high performance external disk subsystem, such as a U320 array or SAN. In a non-clustered environment, a basic configuration would require several separate systems. 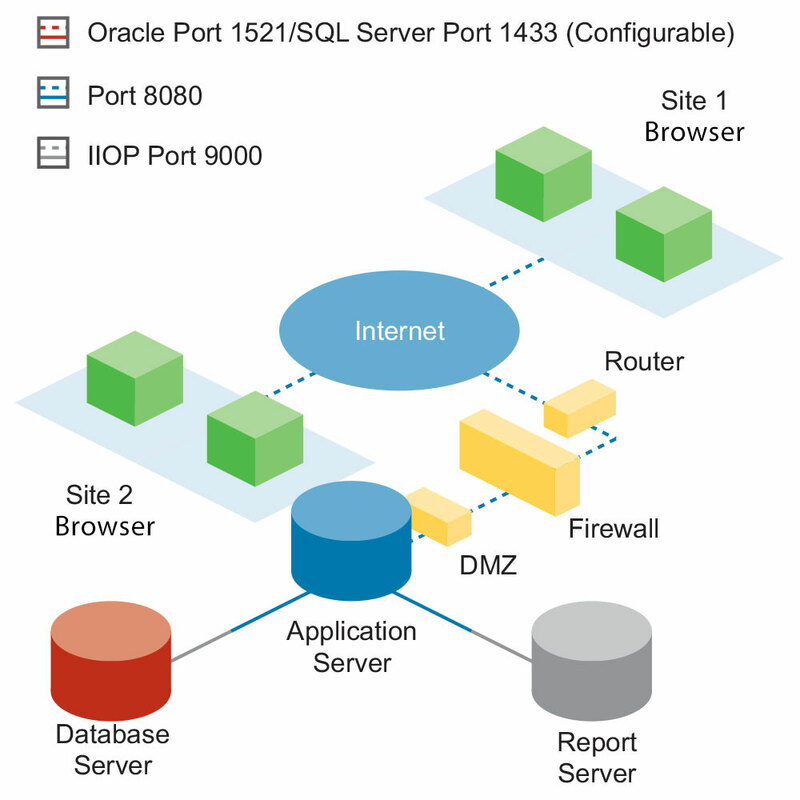 One system each might be used for the database server, application server, and optionally, report server. 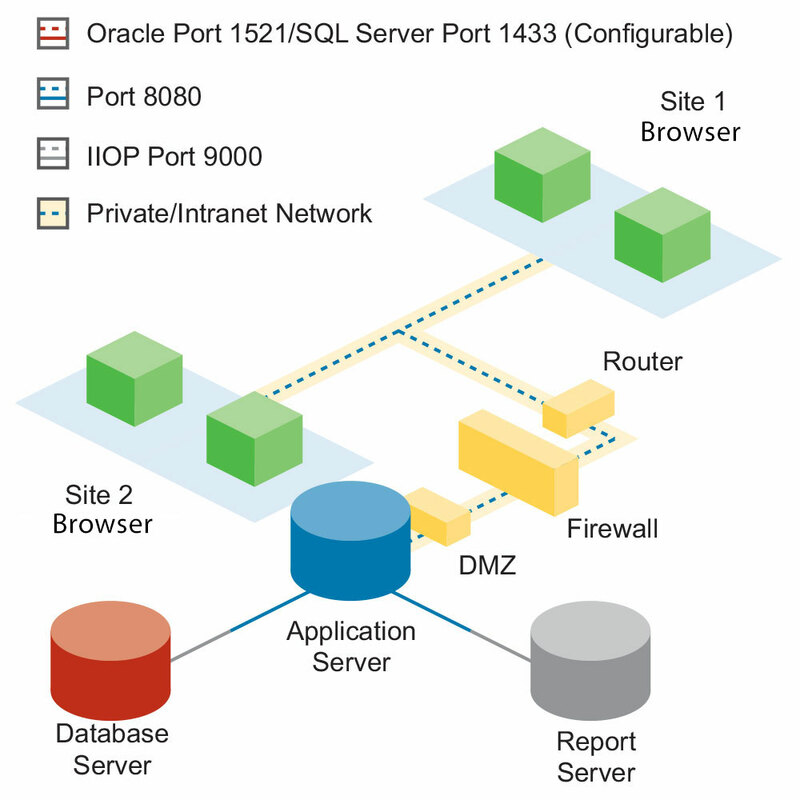 Storage for the database might be provided separately via SAN or an external storage array. In a clustered environment, if load or performance requirements increase for any tier, an organization can simply add another BCU to that tier in the appropriate cluster configuration. Clustering one tier has no requirement of clustering any other tier. Each tier could be independently clustered according to vendor specific clustering technologies. As of February 2016, Lenovo estimated the current System x3550 M5 5463AC1 ($5,192.01) Intel Xeon Processor E5-2623 v3 4C 3.0GHz 10MB Cache 1866MHz 105W x 1 = Xeon E5-2623 has 4 Cores. 16GB TruDDR4 Memory (2Rx4, 1.2V) PC4-17000 CL 15 2133MHz LP RDIMM x 4= 64GB RAM. 600GB 10K 12Gbps SAS 2.5″ G3HS 512eHDD. ServeRAID M5210 SAS/SATA Controller. hardware configuration recommendation tailored to their needs. Whether running on a local area network (LAN) or a wide area network (WAN), LabVantage can be configured to provide the appropriate network security. The following diagrams provide examples of possible configurations.